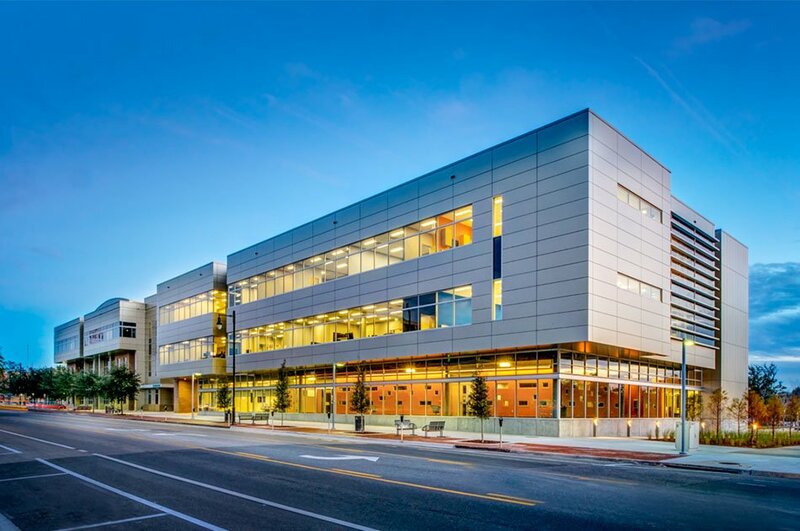 In 2015, the EDA awarded UF a second construction grant to build the Phase II (48,000SF) of the Innovation Hub at UF. The Phase II award totaled $17 million – $8M from the EDA and a $9M match from the University. Phase II allows the region to capitalize on the growth from the original incubator. The fast-tracked addition, scheduled to open in December of 2017, provides flexible spaces, including workpods with moveable walls, for companies to grow, thrive, and continue creating jobs. It also features the Collaboratory for Women Innovators aimed at capitalizing on the established ecosystem to inspire, educate, and empower more women to attain leadership roles in all phases of the innovation life cycle. CHW provided land planning, urban design, land surveyor and mapping, and civil engineering services.